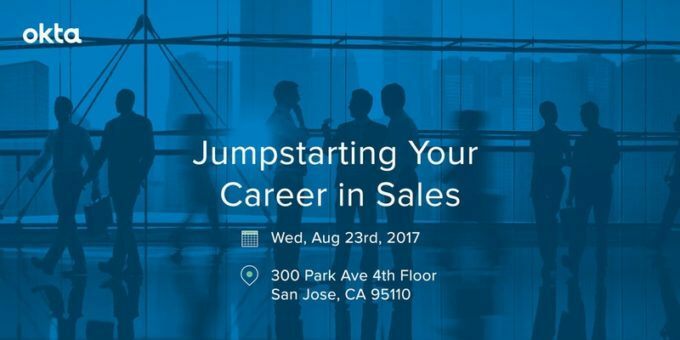 Join the Okta Executive Leadership team and a special guest, our CEO James Nielsen, for a panel on jumpstarting your career in sales. Appetizers and beverages will be provided as you network with leaders in tech sales and find out what it takes to succeed and thrive in your first tech sales position. Panel Discussion will feature Ryan Carlson – Okta Chief Marketing Officer, James Nielsen – Founder & CEO of Sales Bootcamp, and Okta Account Executives who started their career in sales as Sales Development Representatives. About James Nielsen: James is the Founder and CEO of the premier Sales Bootcamp program specializing in training and placing the sales professionals of tomorrow. Advance registration is required and space is limited – walk ins will be admitted on a first-come, first-admitted basis.